Not very pleasant. Cold and impersonal! Ideally suited, to contractors that just need a basic overnight room. Definitely not suited to couple travelling with dog. I found the check-in process very good, although I had to wait for a little time as there was no-one on the desk. The room was comfortable and warm and very clean. The hotel is in need of a major update. Our room was very tired, the paintwork was shoddy and worn. The toilet was badly stained beneath the water line and it didn’t look like it had been cleaned for months. We will not use this ibis hotel again. 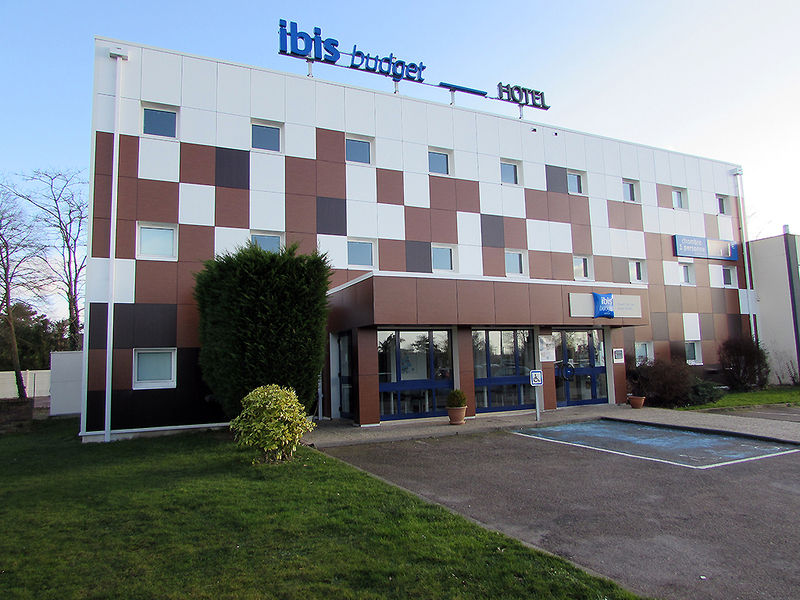 We stayed at Ibis budget Sud Zenth en route to Southern France. Super overnight stay, reception very helpful and polite. Comfortable room & bed. Had difficulty flushing toilet paper but this did not affect our overall experience of this delightful hotel. Good value but room was rather too hot. It was a bed for the night. The room was less well appointed than I expected for the price and some of the fixtures were a little bashed about and showing their age. Rooms quite hot overnight. Very clean. Bar prices very high. The hotel room was immaculately clean and the bed was very comfortable. Fr the price paid, it was perfect and I would be happy to recommend. Brief 1 night stay inQuiet room. Have staid at this location before.Satisfactory experience.Pity the window blind did not function properly.It seems your maintenance staff have not bothered to repair. The location was OK and the room (104) clean and tidy, well presented and good value for the price charged. We thought the breakfast was very limited and certainly not of the standard we have experienced on many occasions in other IBIS hotels, possibly driven by price, but I would prefer to pay more for better. Very pleasant stay at the Ibis Budget. Comfortable bed and adequate breakfast. Not enough pillows though. The rooms are good, prices are good great for an overnight stay. My experience with Ibis has always been first class and we have stayed at all the different styles of Ibis hotels. But on this occasion when my partner went into the bathroom he came out and said there is some ting dirty in the bin. I went and had a look and discovered it was a used sanitary towel. I am 74 so have no need for them. I wrapped it up and took it to the manager on duty at the adjoining Ibis Style and she dI'd say &quot;sorry&quot;. This will make me hesitant about using budget again. Regards Janet S.
Was ideal location for our 1 night stay on the way south. Poor experience. When we arrived we could not gain entry because the automated door system was down. There wa no staff available at 6pm on Friday to assist. Once we finally go in there was no hot water (we had 2 rooms, no hot water in either), and still no staff to deal with it. The following morning was the same situation. We complained to staff at a nearby ibis hotel who took details and said the management would contact us on Monday about this. They didn’t. No apologies. No contact. No compensation. Very poor experience.